This healthy burger recipe is perfect for those evenings when you're looking for a quick, no fuss dinner! These burgers are also perfect to cook on the BBQ on a summer evening. Cut the red onion in half and thinly slice some of it for serving with the burgers, then finely dice the rest. Place the diced red onion in a bowl and mix with the mince, crushed garlic, parsley, ketchup and some salt and pepper. Divide the mixture into four and shape into burgers. 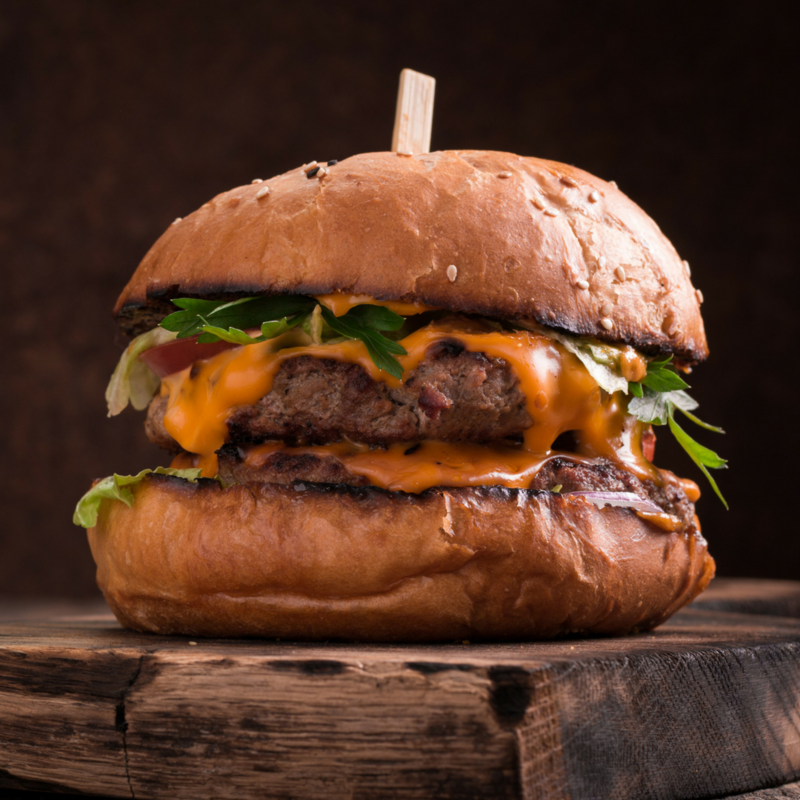 Preheat the grill to medium-high, then grill the burgers for 15 minutes, turning the burgers occasionally to ensure they are fully cooked through. Cut the buns in half and lightly toast them. Serve the burgers on the toasted buns with a lettuce leaf, thinly sliced red onion and whatever other toppings you like. High in protein and vitamin B12.